The Seacret Spa range of Dead Sea cosmetics allows you to safely handle skin and face care as well as tackling niggling signs of aging. It offers men a chance to look and feel good too. An expert in the field of Dead Sea cosmetics, Seacret has developed a four-pronged approach to beauty. Read on to learn how the Seacret Spa range can help you look your best and feel even better. When it comes to looking and feeling great, you need to start with your skin. From your fingers to your toes, from your neck to your derriere, Seacret offers a compendium of cosmetic products suited to you. The Seacret Spa range includes everything from body butters and lotions to soaps and salts, with specialist items available to smooth out overworked hands and rough feet. Each item makes good use of the minerals found within the Dead Sea, bringing the health and well-being benefits long associated with that part of the world, home to you. With your body smooth, moisturized and looking great, it’s time to move onto your face. Seacret has spent years perfecting a series of everyday face creams and moisturizers, as well as some specialist mud masks and peeling milk. All are designed to handle your face with the utmost care, exfoliating, moisturizing and generally adding a richness and vitality that will soon have you standing out from the crowd. For those that would prefer to leave people guessing as to their age, the Seacret Spa collection is home to a number of products specially designed to fend off old(er) age and those niggling signs that come alongside it. Again, Seacret has spent considerable time perfecting its range of age-defying cosmetics, which include face serums, eye gels, vitamin-rich moisturizers, scrubbing masks, and much more. If you want to make short work of stress lines and wrinkles, reach for any of the items available in this range and you’ll be smiling all day long. So your skin looks great, your face is radiant and all those makers that you’re a little older than you once were have been dismissed, now it’s time to go and wow the world. Before you do though, consider your other half. Could he benefit from a little Dead Sea therapy himself? Seacret has you covered there too. The final prong in the Seacret Spa range relates to male grooming. With soaps, shampoos, conditioners, and after-shave balms available, there’s no reason the man in your life shouldn’t look (nearly) as good as you. Made with pure, natural ingredients, a salt scrub featuring Dead Sea minerals should be a part of anybody’s beauty routine. When it comes to looking after your skin, a good salt scrub goes a long way. A Dead Sea salt scrub goes even further. 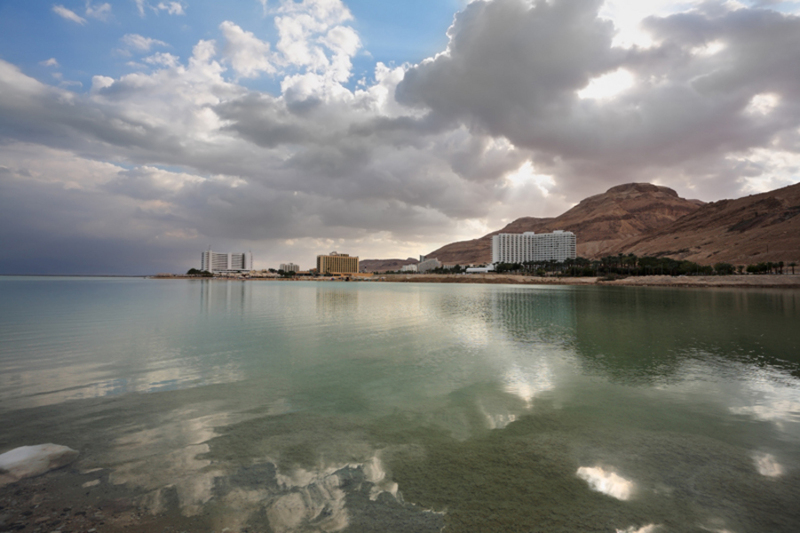 For several decades now, the Dead Sea has been at the heart of the beauty industry. Thanks to a plethora of unique minerals found within its waters, the sea has become the source for some of the very best cosmetics available today. Manufacturers like Seacret have tapped its waters, muds, and salts in a bid to find ingredients that have both health and beauty benefits. Today, products taking advantage of these ingredients can be found on shop shelves, internet stores, and home shopping companies. One of the most popular products available from these Dead Sea cosmetics suppliers is salt scrub. Like any good scrub, these specialist scrubs are perfect for exfoliation and sitting down and relax in the isalnd suites. Applied weekly, they provide gentle (not harsh) exfoliation, removing dead skin cells and bacteria as they unclog pores on both the body and face. Many choose to use these scrubs thanks to their ability to prevent dry skin, improve circulation, and promote skin regeneration. The end result of using such a product is healthy skin that is not only beautiful but also appears more youthful. Put these together and you have what is essentially the Holy Grail of skin care. However, while there is nothing wrong with many regular scrubs available at your local beauty store or pharmacy, there is something special to those sourced from the waters of the Holy Land. The Dead Sea has long been known for its therapeutic qualities, like in the psoriasis disease. For centuries visitors have traversed the globe in search of the relief and rejuvenating feelings offered by the Sea. Cosmetics sourced from the Sea offer these very qualities. Furthermore, companies like Seacret ensure that the natural element of these waters is also captured in these products. They also ensure that all ingredients used are natural. For example, Seacret’s special salt and oil scrub features a number of natural oils, including Borage Seed oil, Grape Seed oil, Linseed Seed oil, and Sesame oil. In addition Glycerin, honey extract, and pomegranate extract are used, adding to the naturalness of the product. Of course, a natural product is much better for your skin than one that incorporates man-made ingredients, even if they have been tested to the nth degree. A natural salt scrub then offers the very best in skin care, and care you can trust in.